Mold in basement removal is a hot topic these days because most homeowners are very aware of the health risks posed by basement mold. When you have mold in your basement, microscopic mold spores drift through the air and they can make you sick when you touch them or breathe them into your lungs. Exposure to mold can make anyone sick, but elderly people, babies, and people with health problems like asthma or disorders of the immune system are particularly vulnerable to mold-related illnesses. Pets often get sick as a result of exposure to mold in the home, as well. You can understand why it’s important to remove mold from the basement as soon as possible. Mold removal must be done carefully, however, because the very process of removing mold increases your exposure to mold spores that can make you sick. Cleaning moldy surfaces stirs up mold spores, which become airborne, and then are easily inhaled. If you have to remove moldy materials, like drywall or carpet, that sends even more mold spores into the air. Contact with these mold spores is what causes mold-related illnesses, such as those described above. Wearing safety gear, including disposable gloves, disposable hair and shoe covers, and an N-95 face mask. Blocking off the work area from other areas of the home with heavy sheets of plastic. Setting up negative pressure in the work area to prevent air flow out of the area. Negative pressure prevents airborne mold spores from traveling to other areas outside the work space. Using a vacuum with a HEPA filter to clean up dust and debris created when removing moldy materials like drywall. Sealing moldy materials like drywall, insulation, and carpet in heavy plastic trash bags before carrying them out of the home to discard them. People with certain health conditions, including mold allergies, asthma, other respiratory disorders, and disorders of the immune system should not clean up mold because the health risks of increased exposure to mold spores are too great. If you’re not sure whether it’s safe for you to clean up mold or not, talk with your physician. 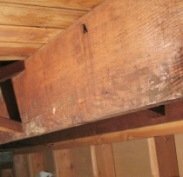 The mold covers more than 10 square feet. If you suspect mold may be in your heating or air conditioning system. If you have any health issues that can be made worse by additional exposure to mold during the cleanup process. The mold was caused by contaminated water such as sewage. If you need more information about the safety precautions you need to take during mold in basement removal, or if you need assistance with the mold removal process, we suggest consulting with a mold removal professional. Most mold removal professionals offer free in-home consultations and will assess the mold problem in your home, recommend the best mold removal methods for the job, and give you free advice about the safety precautions that need to be taken during the cleanup process. Even if you opt to handle the mold cleanup yourself, you’ll benefit from some free professional advice. 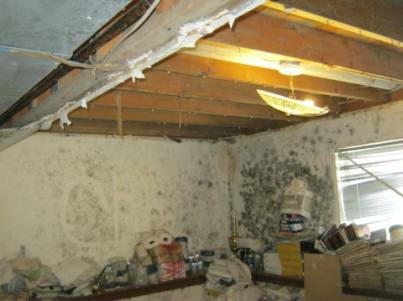 Just click here to find mold removal professionals offering free consultations in your area.